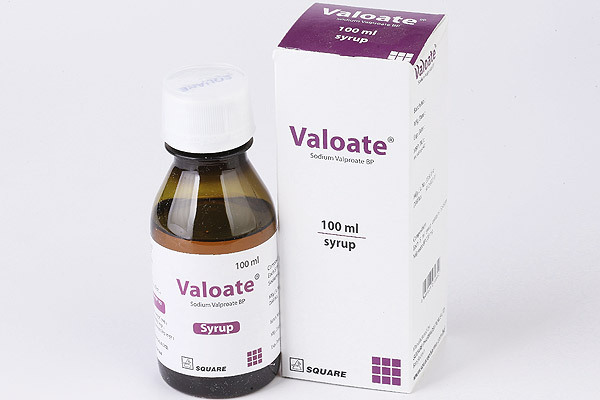 Valoate® is indicated for - Epilepsy: All types of epilepsy such as Absence seizure, Myoclonic seizure, Tonic-clonic seizure, Atonic, Mixed, simple or generalized, Secondary generalized seizure etc. Mania: For the treatment of manic episodes of bipolar disorders. Other: As an alternative treatment for febrile convulsion & migraine prophylaxis. Adults: Initial: 600 mg/ day in 2 divided doses, preferably after food. Dose may be increased by 200mg/day at 3 days interval to a maximum of 2.5 gm daily in divided doses until control of seizure is achieved. Initial: 20 mg/ kg daily in divided doses. Dose may be increased in severe cases with proper monitoring of plasma concentration.Children (over 20 kg):Initial: 400mg/ day (irrespective of weight). Dose may be increased by 20-30 mg/ kg if required to achieve control. Valoate® Syrup: Each box contains a PET bottle with100 ml syrup & a measuring cup. 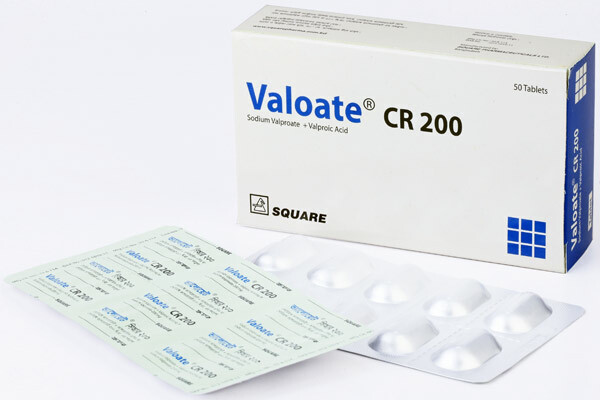 Valoate ® CR 200 tablet: Box containing 50 tablets in blister pack. 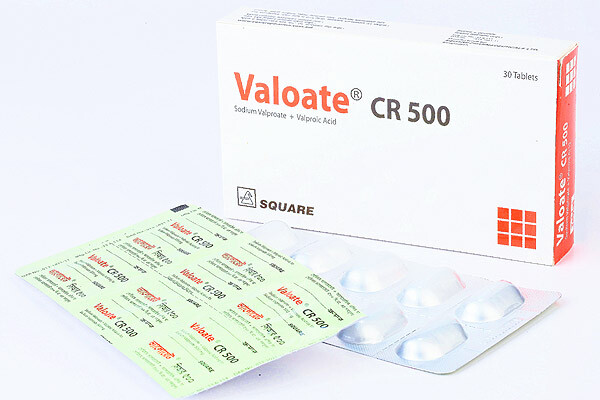 Valoate® CR 300 tablet: Box containing 50 tablets in blister pack. 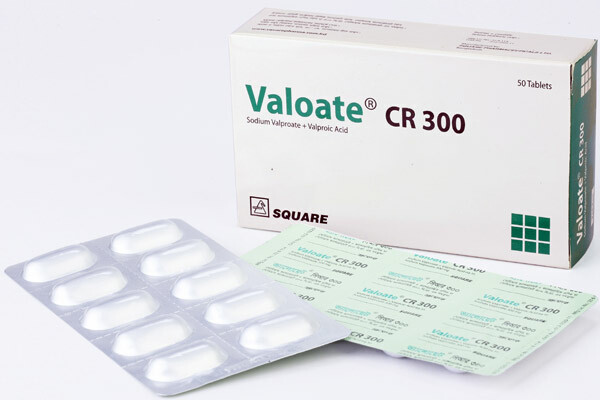 Valoate® CR 500 tablet: Box containing 30 tablets in blister pack.